I am not a first time Hacker anymore. TechCrunch Disrupt was my first Hackathon and, after four years of Computer Science, I can say I should have done it before. Why? Learning. There are more things you’ll learn in a Hackathon than anywhere else. Although you build stuff that doesn’t work in a day, you end up touching and learning new technologies, which, in another moment, you can re-use for bigger projects. Since TC Disrupt was a success. I decided to bet on another one! This time wasn’t for the prizes, but more for the experience. I have packed my bag with Antonio Marino, my flatmate and still a third year student at Uni, and we have decided to spend the weekend in Detroit. Yes, we signed up for MHacks, at the University of Michigan. We flew out to Detroit on Friday morning and came back in Manchester on Monday at lunch. It was probably the craziest thing I have ever done, but this is what Computer Science is about. We don’t have any limits and the $500 reimbursement we received from the organisers was almost enough to cover all the expenses. 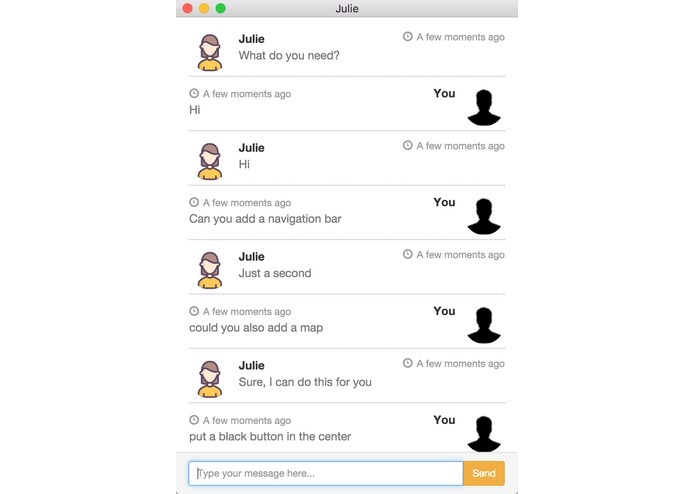 We built Julie, an AI that uses natural language processing to understand what the user wants and builds React Native apps on the spot (both for Android and iOS). Imagine talking to a bot and asking to place a NavigationBar, a Map, a Button or a label inside your app. You can also set the colors of the buttons, the text and customise other components. We saw Julie as an interesting learning tool for people who want to start coding straight away but don’t have any clue. This tool shows you how a native application is built and also provides a drag and drop interface to let the user move around the components created. Julie itself is a React app that runs on Mac thanks to the Electron Framework. The coolest feature was that we could phone Julie through the Twilio API and ask her to place a red button with text “Hello” in our app. We also used Wit.Ai to build a Natural Language Processing model that let Julie understand what we tell her. We had to train her with more than 25 sentences in order to improve her understanding of “add a button”, “place a button”, “insert a button”. These are all different sentences with the same aim. I didn’t sleep for 52hrs and that was probably the only thing I found about myself, apart from the ability to write code during those hours. The jet lag wasn’t that great either cause as soon as we landed, we started coding. I really don’t remember my flight back to Manchester since I was sleeping, but I can pretty much say it was worth it and yes, we were in a different continent just for the weekend. I was born as a Physicist, but someone told me that CS was better. 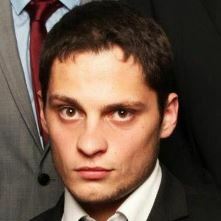 I am Edoardo, a MEng in CS, studying at the University of Manchester.